In 1991, I was elected, for the first time, as a member of Tibetan parliament. On 29 May 1991, I took my oath and responsibility [as MP]. Since then until today, for almost twenty-two years, I have been consecutively elected as a member of Tibetan parliament and purported to have made some modest contribution to our common cause. During these years, I served as a speaker of parliament twice, and also once as pro tem speaker of the parliament. As a matter of clarification, I would like to express to the parliament with special emphasis that from the perspective of Dharma (Chos) His Holiness the Dalai Lama is my undisputed, noble protector, my source of spiritual refuge both in this and the next life. I believe [from the depth] of my heart that not only for the Tibetan people in and outside Tibet, but also for the whole world, His Holiness the Dalai Lama is a noble leader, and I love, respect and admire him [accordingly]. This [my love, respect and admiration for His Holiness as a noble leader] will never ever change. From the perspective of politics, in 2011, His Holiness the Dalai Lama issued many statements [to the effect that] his political and administrative leadership and responsibilities shall be handed over to a directly-elected leadership of the Tibetan people. Therefore the structure [provisions] of the charter of the Central Tibetan Administration was amended for the 25th time resulting in tremendous changes. Based on this [such changes], His Holiness the Dalai Lama doesn’t hold the political and executive power of the Central Tibetan Administration anymore; nor is he the nominal or titular head of our nation [Tibet]. 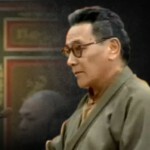 Before the above changes occurred, to resolve the Tibetan issue truthfully, His Holiness the Dalai Lama — the undisputed spiritual and temporal head of the Tibetan people — implemented the Middle Way policy in the Tibetan parliament. Although I do not agree [with the Middle-Way], I supported it and the resolutions related [to the Middle-Way] were passed unanimously in the parliament. The main reason I supported [the Middle-Way] is because I respect His Holiness the Dalai Lama from the depth of my heart, and [also] because I took a series of oath to [sincerely] follow the words of His Holiness the Dalai Lama. For the past 64 years, China’s policy on Tibet—let alone undergoing positive changes—has worsened [in terms of its] barbaric and oppressive actions. Now the Tibetan people have lost every faith in the Chinese government [to resolve the Tibetan issue through dialog]. Based on above reasons, our fellow Tibetans inside Tibet are engaging in diverse non-violent protests, including the act of self-immolation, and through [these protests], they are making clear that they don’t want to live under the Chinese communist government and aspire for Tibet’s complete freedom and independence. Therefore, I am going to show my support and solidarity [to them]. This year is the 100th anniversary of the Great 13th Dalai Lama Thubten Gyatso’s declaration of Tibetan independence in 1913. I commemorate and express my respect [to this great event]. I pray to the Buddha, Dharma and Sangha—the three sources of ultimate refuge—that this clarification will advance the unity and patriotism of the Tibetan people in and outside Tibet, resulting in the restoration of Tibet’s complete freedom and independence. I [hope] my prayers would be answered accordingly. Honorable speaker let me express a few more words. I consider my clarification significant, which is why I presented it in writing. Since the 11th session of the Tibetan parliament, it is not that our members of parliament and observers from outside do not know what my [political] stand is. Therefore, while making this clarification, I have done it with full modesty considering it as my duty. I have made the clarification not out of pride, resentment or to impress others. I have never had such [desires]. Moreover, inside and outside parliament, and everywhere, although this [independence] is my fundamental political stand, I am a person who have always tried, if necessary, to avoid speaking and making clarifications about it. I am not a person who always wave the [flag of independence] and [disrupt] our internal unity; our internal unity is strong generally, but it [raising the independence stance] might hurt some individuals, which is not nice. And in democracy, all of us, bearing our responsibility and using our intelligence, primarily taking responsibility for our nation, can have our own [political stand]—that each one of us has the right to free expression and free thought. Acknowledging and respecting this right to free expression and free thought, I have been a person who always made efforts not to raise the [independence] stance all the time. However, for the ultimate [struggle] of Tibet—be it Tibetan people’s polity, religion, culture, or any other matter that one considers—I have always felt that what we really need is freedom and independence. This feeling and stance I have arrived at out of strong conviction and belief. Such is the case. For instance, in 1970, after graduating from Mussorie School I joined the university; it was as if I had now begun to stand on my own feet, to have my own self-sufficiency [autonomous existence]. In that year, in Dharamsala, I participated in a conference organized to found the Tibetan Youth Congress. It was an important milestone for this [independence] stand. In 1979, generally from 1959 to 1979, the policy implemented by both the Tibetan government and public was [restoration] of freedom and independence. Since 1979, the policy underwent changes—1979 is generally considered the turning point. Even at that time, my [political] stand didn’t undergo any changes. In 1979, I was a [member of] Central Executive Committee of the Tibetan Youth Congress. I was serving as a teacher in Bylakupee Tibetan school. Then in 1987, His Holiness the Dalai Lama presented the Five-Point Peace Plan in the United States. In 1988, His Holiness presented the Strasbourg proposal—the essence of which is how to conduct negotiations in stages with the Chinese government through the Middle-Way approach—thus making it all clear through this proposal. While making all this clear, I was simultaneously serving as the principal of the Central Tibetan School in Mussorie and Vice-President of the Central Executive Committee of the Tibetan Youth Congress. Even then also, my stand did not undergo any changes. Since then keeping a firm stand, without undergoing any changes, in my heart I have felt that the short and long-term need, the ultimate need, of the Tibetan people is freedom and independence. As far as my knowledge is concerned, His Holiness the Dalai Lama, considering the urgent circumstances and implementing thousand strategies and hundred tactics, proposed the Middle-Way, but I think that what we needed was independence, that was in His Holiness’s mind, I felt. Therefore, from 1959 to 1979, the policy of Central Tibetan Administration was to [restore] Tibet’s freedom and independence. As such the prayers that I recite regularly, His Holiness the Dalai Lama’s composition of prayers for Tibet’s spiritual and temporal cause, these prayers I recite regularly, everyday, without any break. For us Kagyu followers, there’s a prayer-text called Chags Med De Mon (literally: prayers for welfare to be recited regularly) that we are advised to recite regularly, but we could not recite it regularly. However, the prayers composed by His Holiness the Dalai Lama during that time, for instance on 29 September 1962, His Holiness composed the prayers Dentsig Monlam (Words of Truth) that we today recite with lots of importance. Such propitiations were made to the deities of Tibet. Therefore, based on such awareness I stood firm with my stand, and will do so in future. Since it has significance for the parliament, I have tried to clarify and clear it up. Translated and edited by Tenzin Nyinjey, with permission from Karma Chophel. 1) In the very first place why did you stand for Kalon tripa if you had no wish or desire to work for Tibet or Tibetan people.? 2) Why did you deceive the Tibetan people ? 3) If you are a true Buddhist monk,especially a pure lama, is it correct to deceive your own people,who trusted you so much. There are thousands of questions we can put forward in this regard,but we prefer to stop here,,because we know since you are very clever and shamelessly bold, and you do have a baseless answer for each and every question. We left our motherland because of the Chinese oppression,Now please stop bullying and suppressing your fellow men. The more unfortunate incident is the recent crackdown of the Tibetan youth congress at Dharamsala at the instigation and conspiracy hatched by Samdong rinpoche yourself,every Tibetan knows that this is an open secret.We now indeed realize that what you say and what you do,exactly and fundamentally match. The Tibetan youth Congress is the only and sole present foundation and future seed of the entire Tibetan culture,religion race and its future,therefore a man or an idea that harms and destroys this indispensable institution is no more harmful and dangerous enemy then the red china itself . We also know that if you get the opportunity you have a harmful idea in the back of your mind,That would fundamentally and immorally harm the basic principles of the Tibetan Buddhism and the existing harmony and peace that exist among the different sects of Tibetan buddisim so please keep away your dirty nose from the Tibetan lamas,monastery and religious institutions.